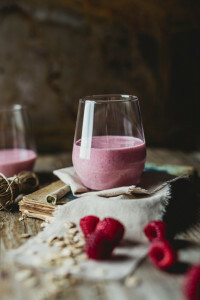 As I sit here bracing for the ‘blizzard’ that is supposed to hit the DC area this weekend, I’m thinking about what kind of smoothie you and I can make in advance and store in the fridge (in case the power goes out), that will give us energy, taste sweet, but at the same time keep our blood sugar stable. I wanted to create something that tastes good and is appealing even though it’s cold outside, but that you can have as a snack or a meal replacement after a couple of hours of shoveling snow. Even though it will be chilly outside, after an hour or two of shoveling, you are definitely working up a sweat, and something sweet yet slightly cooling will definitely taste yummy! So I came up with this delicious powerhouse. Go ahead, get your blender out , and try this recipe today. This recipe is loaded with anti-oxidants, vitamins, healthy fats, protein, calcium, and other minerals such as potassium, to help boost your energy, balance blood sugar, and protect your muscles and immune system. 1 tsp bee pollen (optional) – great protein source though. Put all ingredients in a blender, and blend until smooth and creamy. Totally delicious and slightly sinful!